This is the electric personal transport vehicle used by police and military personnel on patrols. 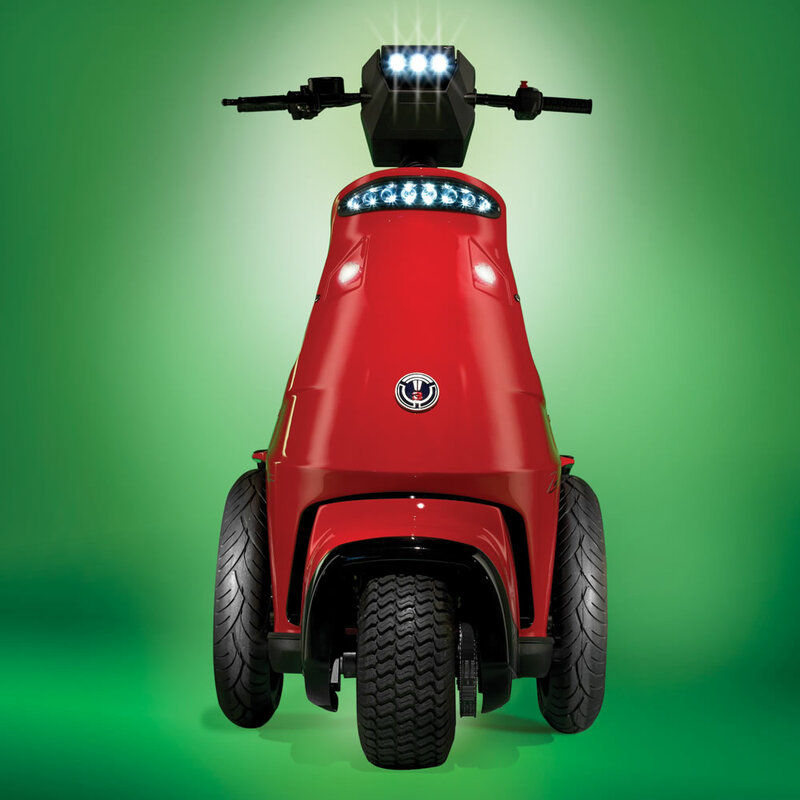 The zero emission chariot has two lithium batteries that power the vehicle for up to 25 miles. The DC motor propels the vehicle at 5-, 8-, 10-, 12-, or 20-mph and the front-wheel drive and 10:1 gear ratio provide reliable power for climbing up to 22° inclines. 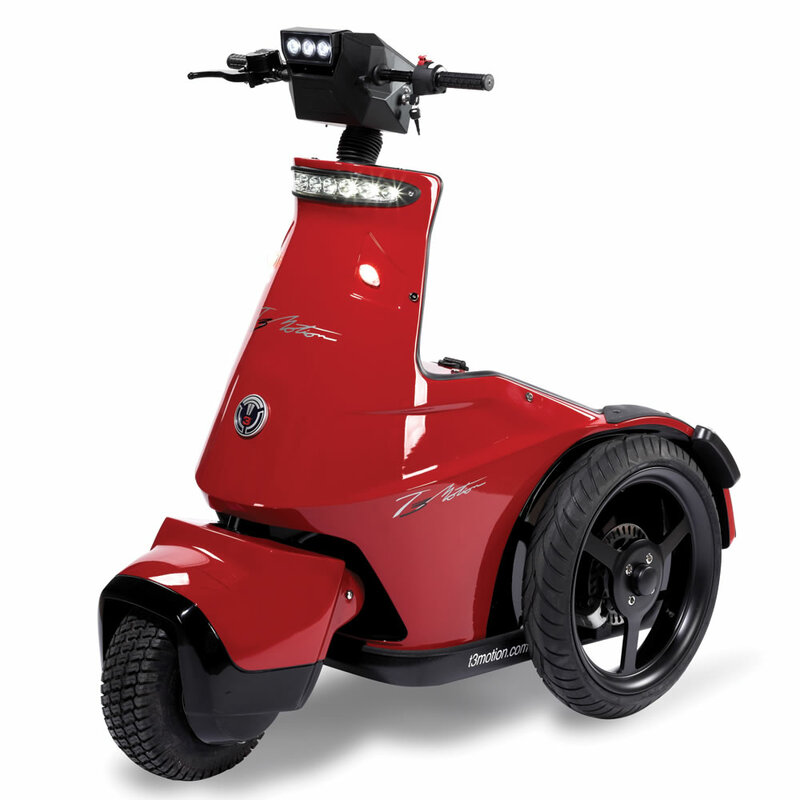 The chariot has a zero-degree turning radius, allowing riders to literally turn on a dime, and the throttle and disc brakes are easily accessed on the handlebars to enable rapid acceleration and stops. High-intensity LEDs illuminate the headlamps, brake lights, and turn signals, and the built-in LCD panel shows speed and battery power remaining. The 6"-wide front tire, dual rear tires with aluminum rims, and the 2 1/2' sq. platform provide optimal stability. Includes a weatherproof, lockable onboard storage compartment for securing personal items. Classified as a motorized bicycle, the street-legal chariot does not require any permits to operate in most jurisdictions. Recharges in four hours via included charger. 57" L x 36 3/4" W x 53 1/3" H.